We have been providing entertainment for dry and after grad events all over Vancouver’s Lower Mainland since 1995. We guarantee the best in all areas of our services including friendly and reliable staff, top quality games and equipment, and easy communication throughout the process. Experience the ease of booking all of your entertainment needs with one reliable company; we are your one stop shop and can offer your school a complete dry grad package! We offer a wide variety of items including photo booths, inflatable games, entertainers, casino packages, airbrush tattoos, arcade games, interactive games and more. If you don’t see something on our website that you are looking for, please let us know and we will do our best to locate it. As many parents are new to the dry grad planning process, we will gladly offer our expertise regarding game recommendations, floor plans, and assist you with any other questions you may have. 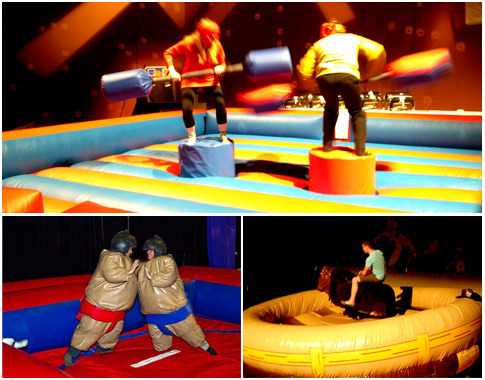 When booking with Houle Games, we are committed to providing your school with a fun, safe and successful dry grad! If you would like a quote on any items, please contact us with your school’s name and the date of your dry grad.